He indicated further technology investment would follow. In his first speech since being appointed to the post, Matt Hancock listed technology as one of his top three priorities along with workforce and prevention of illness. He made clear that he saw technology as a critical component of the NHS modernisation required to meet rising demand and expectations and improve outcomes. 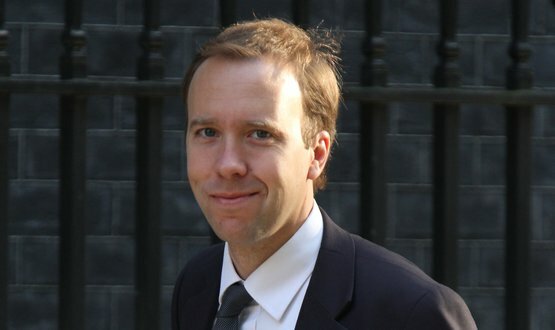 Approximately £412m will be made available to transform technology in hospitals, which Hancock described as a “further step to full provider digitisation”. In addition, a further £75m will be available for trusts to replace paper-based systems with electronic systems. Hancock said early adopters like Cambridge had shown how e-prescribing could reduce medication errors by up to 50%. Hancock described the £487m as just the start and noted “the entire £20 billion proposed for the NHS will be contingent on modern technological transformation”. Hancock singled out Babylon Health as exactly the kind of transformative technology he wanted to see become more widely used across England, saying the Babylon Health app worked brilliantly for him. “Some people have complained that the rules don’t work for care provided in this revolutionary new way. Others have said the algorithms sometimes throw up errors. “Emphatically the way forward is not to curb the technology – it’s to keep improving it and – only if we need to – change the rules so we can harness new technology in a way that works for everyone: patient and practitioner. Hancock also cited Scan4Safety – barcode tracking in hospitals- as an innovation that’s driving improvements in patient safety while saving money that can be invested in the front line. Hancock praised the RCN’s ‘every nurse an e-nurse’ approach is showing how electronic health records and other smart tools can help nurses in and out of hospital work together, to comprehensively address patients who have a range of health problems. It is unclear yet whether the £487m is new money or part of the £1.3 billion from the “Paperless 2020” funding, committed by the former health secretary Jeremey Hunt in February 2015. Of the £1.3 billion money, £385m was allocated to the Global Digital Exemplar and Fast Follower programme in August 2017. I wondered how long it would be before Hancock re-announced the paperless investment money that Hunt announced and re-announced so many times. This isn’t “fresh investment” it is simply part of the £20bn announced by Hunt and May before Boris resigned and Hunt escaped from Health. Last year Stevens said the NHS needed an extra £30bn just to stand still, this year he said a year on year rise of 4% was needed to keep services running -.May announced a 3% increase. Hancock has just revealed some of the conditions which need to be in place before the miserly £20bn (3%) will be released. This is good because well managed IT increases efficiency, also IT can level the plhaying field, but this needs to be enforced by the NHS ORGs that operate @ the national level, they need to be encountable. It is just waffle and spin. Nothing has changed, we just have an amateur app developer in charge instead of a homeopathy fan. Like Hunt before him, Hancock has no knowledge of healthcare, he is a free market economist who was part of George Osborne’s team at the Treasury. The STP plans are in place and they rely on technology led business transformation if they are to deliver the efficiencies needed to make up for the funding shortfall. Ever wonder why Germany’s Health Service is so much better than ours? It may have something to do with the fact they spend 30% more per head on health than we do (and that’s with a Centre Right Chancellor in power). We seem to be quite capable of spending more money without being able to finish off what has been started I am still only able to order tablets and book appointments on patients access. Glad to hear it. Hopefully, “The Internet” is steadily getting better at helping you. This is absolutely insane and will generate more problems than it solves. All of the observations above regarding the foolhardiness of rushing to market with untested applications are correct and should raise some serious concerns. You can be 100% certain that those foisting ecare on the mass of NHS patients wouldn’t dream of using it themselves, but will instead have normal private care. And rather than using money to fix the NHS that works brilliantly most of the time for most of us as they promised, the Tories are instead proposing to inject billions into something that will no longer be recognisable as the NHS. It is still a lie, and a scam, and they are still failing to deliver on their Brexit promise. Except our New Sec.of State who boasts of not having a GP but is signed up to Babylon. I agree with every word you say and watch in despair as our councillors on health scrutiny committees seem unable to even effectively question the destruction of our health service. A service which puts healthcare for all before unproven money spinners for some. Of course the NHS is still recognisable, in many places the NHS still matches Army Medical Services from the trenches of WW1. There you have it: an article about using IT to improve healthcare, and the first three comments contain nothing but resistance. It’s very close to being a fact that as AI becomes available that can enable staff to make a diagnosis as accurately (or even “more accurately”) as highly paid doctors and consultants, the fight against it will only grow. Introducing cost-saving AI into the current NHS simply isn’t going to work: we need to create a parallel NHS, and steadily move budget from the current, political NHS to the new effective one. My comment is not resistance. This money is welcomed, it just needs to be spent wisely rather than short term quick fixes like standalone ePrescribing systems. A surprisingly small number of machine learning based algorithms for healthcare have published evidence of their validity in scientific, peer reviewed journals. Even fewer have been evaluated in clinical practice in relation to their clinical/cost effectiveness. As with new drugs these healthcare technologies require testing before implementation- the pace of which is too often driven by commercial interests. While some caution is appropriate, particularly in drug development, the current lag of 17 years between the time a clinical practice is deemed to be ‘gold standard’ and when it becomes ubiquitously deployed is a real indictment on the health sector’s appetite and aptitude for innovation. Technology isn’t the solution, but it is a critical enabler of new models of care which enable better engagement of people and their families to maintain their wellbeing. Continuing reliance on hospitals, doctors and pharmaceuticals alone is unlikely to result in a sustainable solution to the increasing gap between increases in health costs and growth of GDP. Maybe that will cover the cost of Dyson fans on every ward as have been installed at my local hospital. They cost around £400 each. Then there’s the unnessesary costs of paying outside companies to change lightbulbs and infection control point gel bags at astronomical prices, just employ someone to do these things at a fraction of the cost, then those of us that need bl**dy treatment and operations might get them! If you need someone with some common sense and vast experience with lean working practices, get in touch i’ll save you a fortune! We need to be a bit careful here. True ePrescribing benefits only come when fully part of the clinical workflow. Not when clinicians have to log into a seperate app for prescribing. This brings in the likelihood of errors as clinicians do not know where the single source of truth is… allergies for example could be captured in a number of systems if the organisation has opted for a best of breed approach. Allergies should not pass through an interface when supporting real time prescribing and administration. Algorithms show up errors….. maybe thats true, but these are only to support medical practice not replace it. 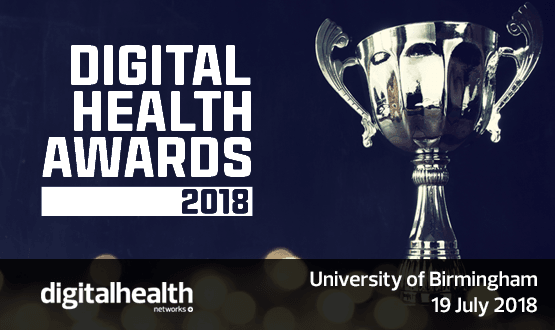 The winners of the Digital Health Awards 2018 have been revealed at the annual Summer Schools event in Birmingham.